Saying goodbye to friends and colleagues doesn’t have to be a sad affair and probably the best way to ensure that saying goodbye is in fact a fun affair is to organize goodbye celebrations. This is exactly what Donna and I did during our last two weeks living full time in San Francisco, thanks to a little planning on our part but more importantly to the amazing love and efforts our friends bestowed on us. The first celebration was thanks to Donna’s friend and colleague Dan Landers. Dan is from Brazil and he invited us over to his apartment for a going away meal. He made for Donna and myself some churrascaria style steaks and taught us how to make chimmichurri dipping sauce for the meat. In classic Dan style he also whipped up for us Donna’s favorite Brazilian drink called the cairpirinhai, which is a sweet drink made from sugarcane rum, lime and sugar. 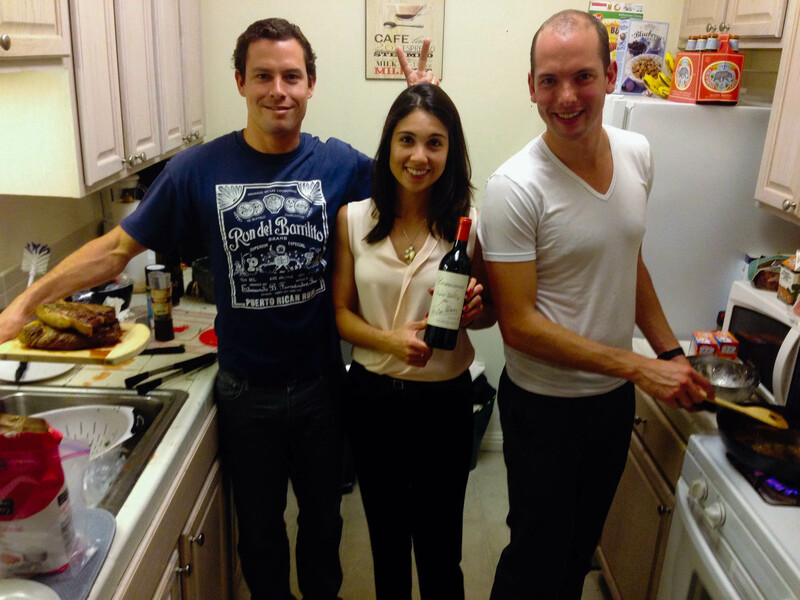 In addition to the excellent food we had an amazing bottle of wine to drink thanks to Kayvan Malek, a colleague of mine at Blackrock who runs our group’s commodities team. A few months back Kayvan gave me a Cabernet from 1991 and on this evening the perfectly aged wine paired most excellently with Dan’s steaks. It was a meal I won’t soon forget! On the day before our last day at Blackrock, Donna and I’s respective teams joined forces to sponsor a tandem going away drinks celebration. Many thanks to Paul Harrison and Brian Feurtado for approving this awesome use of company funds; yes the team-building and camaraderie was worth it! We rented out a private area at Local Edition, a spot with excellent mixed drinks and a speakeasy style atmosphere. The turnout was awesome and it was fantastic to see everyone come out to enjoy each other’s company. For a few of us the night kept going with a dinner at Hakkasan followed by a bottle of champagne at Phil Hodge’s house. What a great evening, thanks everyone! The most wild of the celebrations was organized by none other than Donna’s amazing roommate Natalie Ragan. She rented out the back area of Rosewood, a bar that straddles the border between Chinatown and North Beach on Broadway street. Our group had control of the jukebox, a bar complete with customized drinks, a projected stream of photos collected over the years, and enough space for about 100 of our San Francisco friends to get wild together! Appropriately, the amazing night ended with cheap Chinese food next door after we were booted out at 2am. Good times and much love to all who showed up! 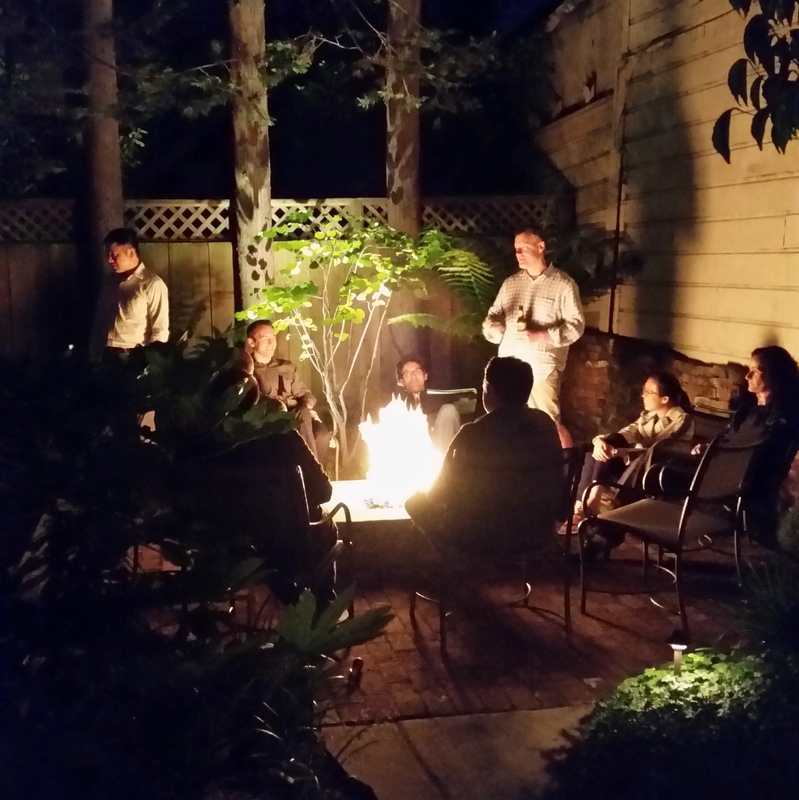 I also have to throw a shout out to Dave Piazza, my former jefe at Blackrock, who organized a more personal gathering for myself and a few others at his place in Lower Haight. His backyard is awesome and we enjoyed fresh abalone (fished out of the water and prepared by me!) and a lot of other delicious dishes prepared by Stephanie Lee. Thanks everyone! The following week was one of the busiest of my life. My last day at Blackrock was July 18 and our departure to South America was to happen on July 29, which means I had about 10 days to 1) finish repowering my sailboat, Joyous, with diesel motor — a project I’ve been working on for the last 8 months, 2) pack up everything I own into a storage unit and move out of my house, and 3) pack clothes and snow gear for our trip to South America. It was a whirlwind indeed, but by Thursday July 24, Jonah Lane, Chris Coleman and I were motoring around the SF Bay and Joyous was BACK. 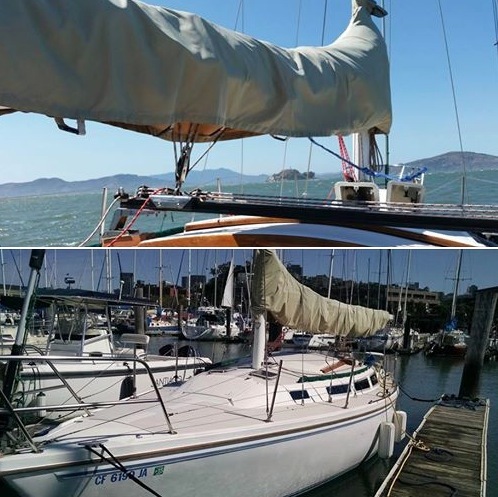 Although I am not going to immediately enjoy the fruits of the long, laborious journey that was this project, I am eager to do some sailing when I get back to SF in mid-September. Just in time for me to leave to South America we finished the diesel repower for Joyous; but I will enjoy sailing her when I am back! Meanwhile, as I was feverishly finishing up the work on Joyous, Donna made a short trip back to New York to visit with her parents and sister, Arlana, to say goodbye. 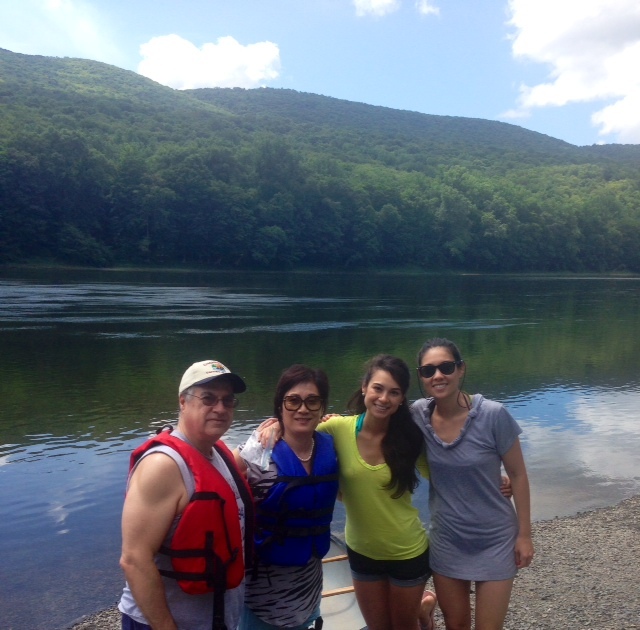 They were able to squeeze in a fun family excursion to canoe down the Delaware Water Gap, re-living a family tradition since they were young kids. The water was warm and tranquil (aside from the occasional rapids) and was a very nice getaway with family before traveling down to Argentina. By Monday, July 29, Donna and I had gotten all of our worldly possessions stuffed into a 6x6x8 foot Uhaul storage unit. We didn’t pack up any furniture as our respective households were happy to take beds, TVs and desks off our hands. I am actually glad not to have had to sell my stuff and to know that it is getting good use at the Great Highway Beach House. By that evening we said our final goodbyes and the next afternoon we took off for Houston and the beginning of our adventure! The day we left SF Donna and I had our final meal at none other than the infamous La Taqueria!